We’ve had some extremely cold weather (for us) recently and we’ve all been stuck indoors. So it’s an excellent time to share a brand new set of Spanish worksheets for kids with all of you! Yay! 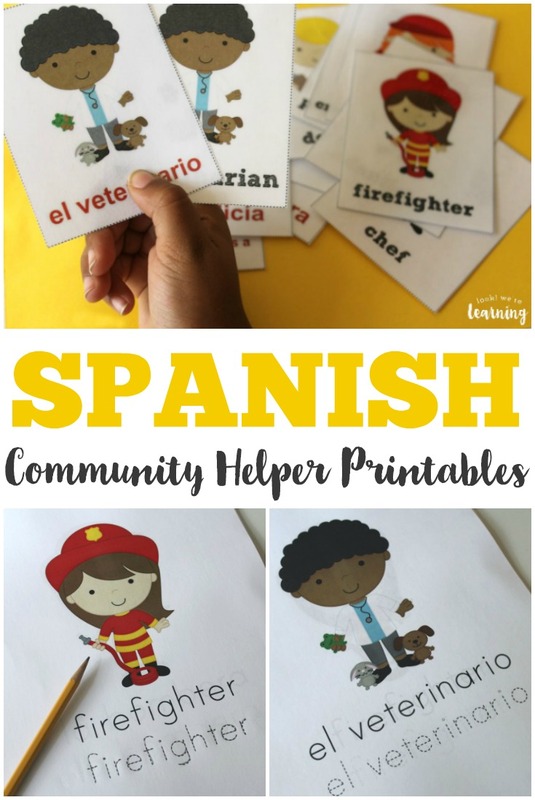 This is a super resource if you’re teaching Spanish to your kids in grades PK-Grade 3. 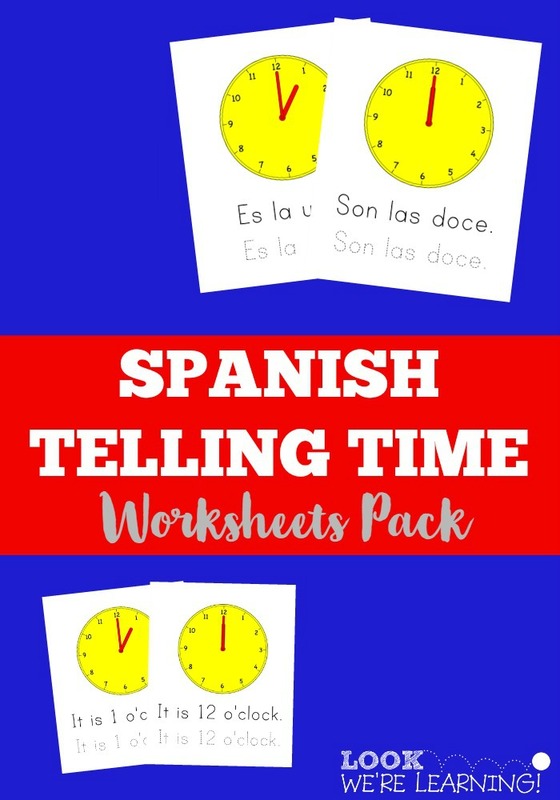 It’s a Spanish Telling Time Worksheets bundle – over 40 pages of help to learn how to tell time in Spanish! Read on to learn how to get yours! 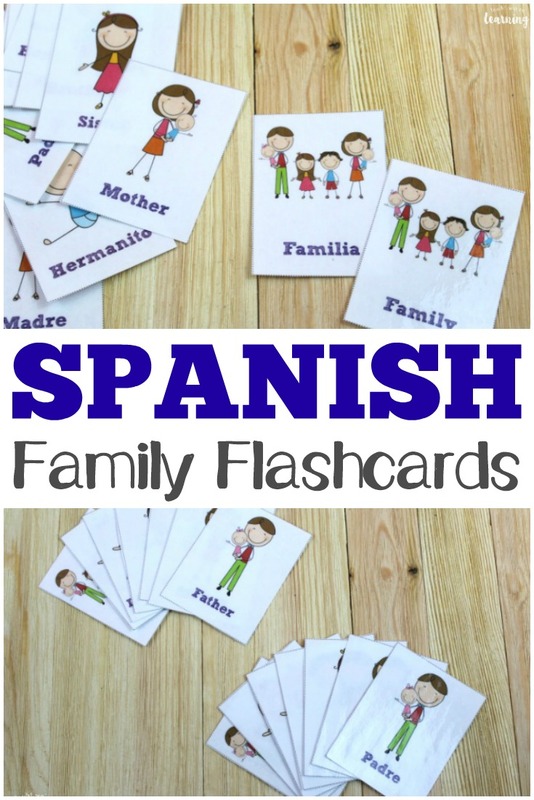 And for more Spanish learning fun, check out our Spanish Family Words Worksheets! 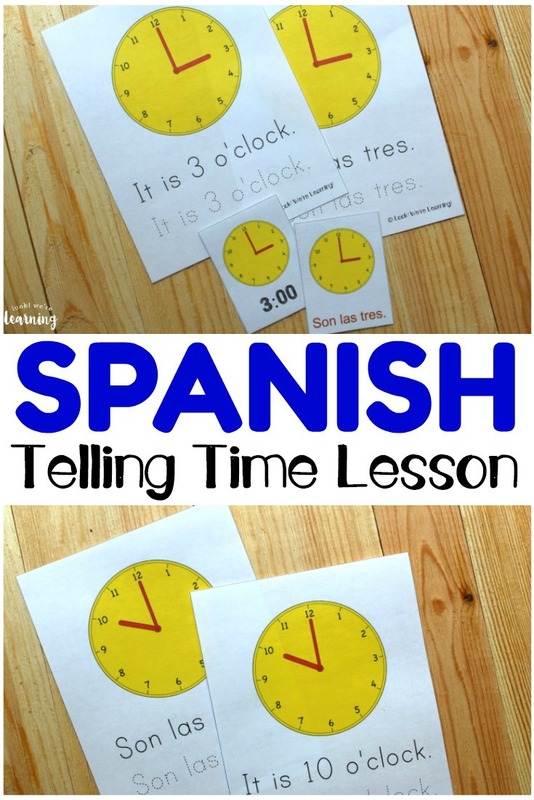 This bundle of Spanish activities is great for kids from preschool to grade 3 and it includes help to learn how to say common Spanish telling time phrases. 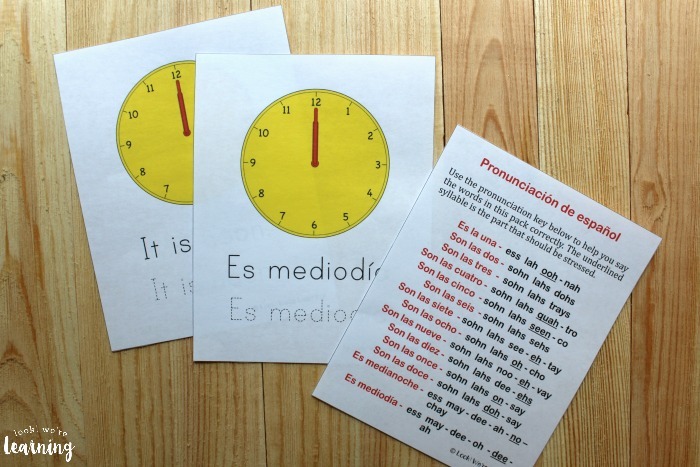 The product features printed English and Spanish time phrases, along with tracing sentences and a bonus set of Spanish telling time flashcards! A pronunciation guide for saying the Spanish phrases correctly is also included. As you’ll see, the Spanish way of telling time is fairly simple. In English, we use “o’ clock” to identify time based on the numbers on the clock face. In Spanish, though, people just refer to the number of hours. 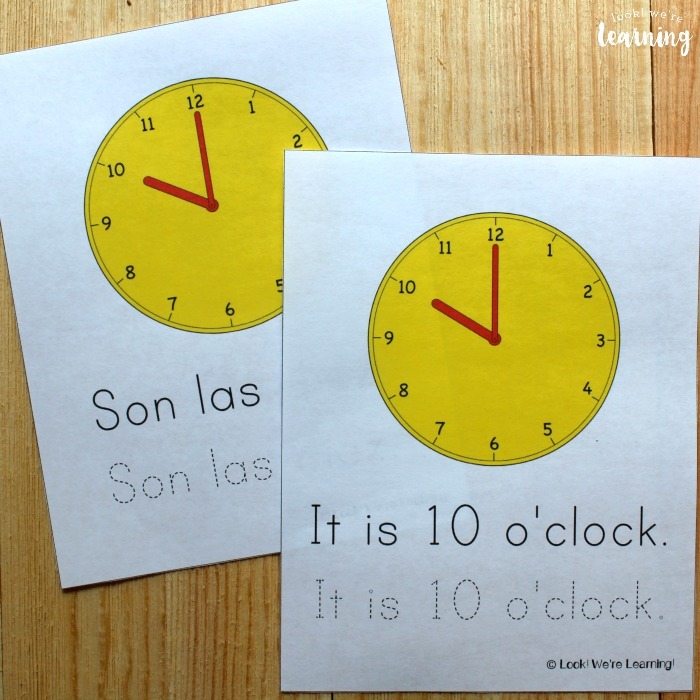 So instead of 1 o’clock, in Spanish you’d say “Es la una“, which literally means “It is one.” No “o’clock” needed! 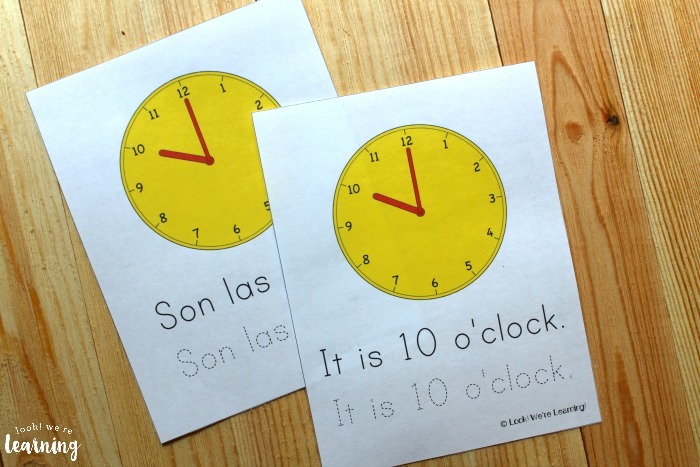 After 1 o’clock, Spanish time phrases include “Son las dos” (It is two. ), “Son las tres” (It is three), and so on. 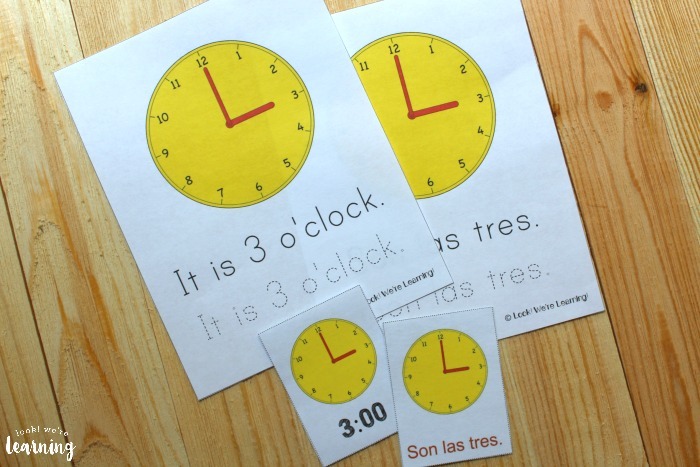 I’ve also included printables that explain the Spanish expressions for midnight and noon, so you can identify which 12:00 it is with ease! 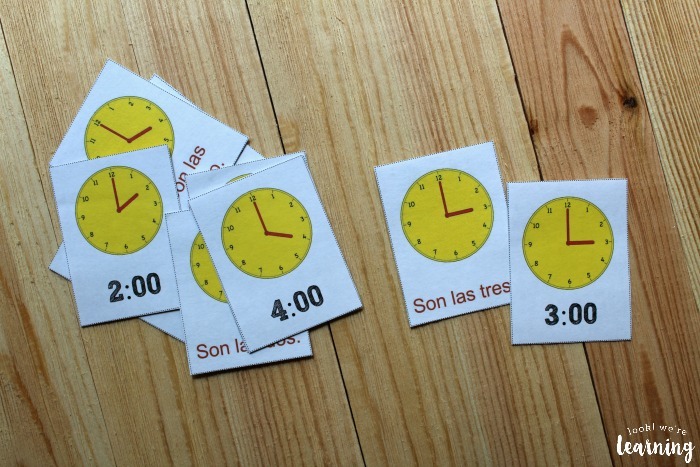 Plus, there are printable Spanish telling time flashcards for easy practice! 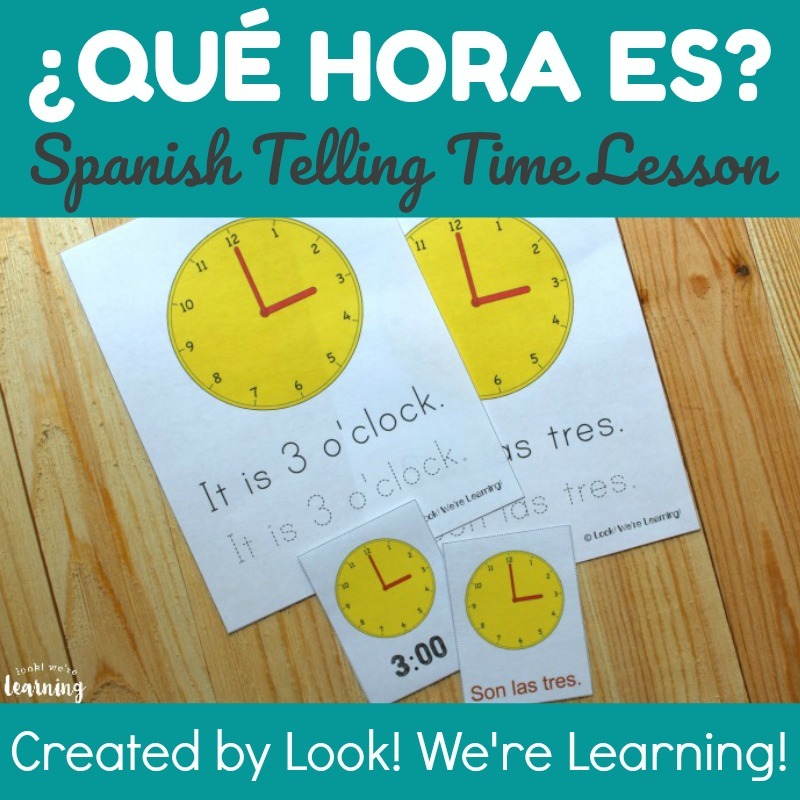 Scroll down to get your Spanish Telling Time Worksheets! 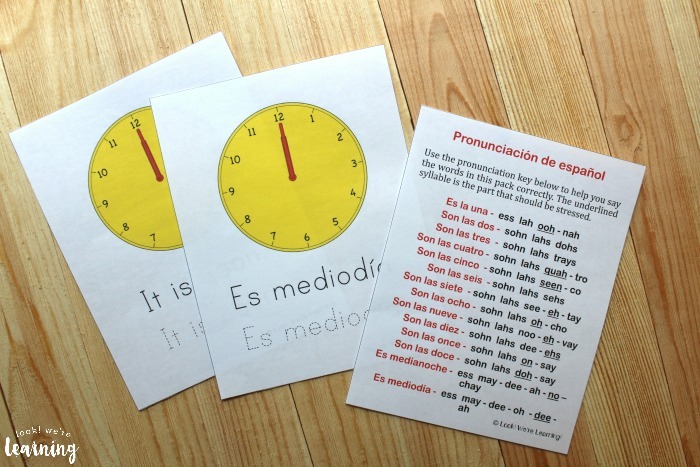 To get more practice telling time in Spanish, try these great resources! 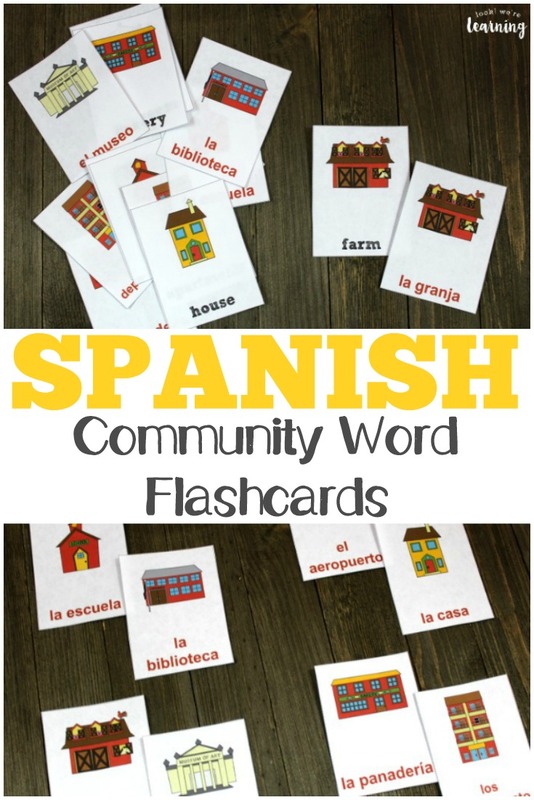 For more help teaching kids Spanish, check out more of our resources below! Don’t forget to follow our Foreign Language for Homeschoolers board on Pinterest for more resources! 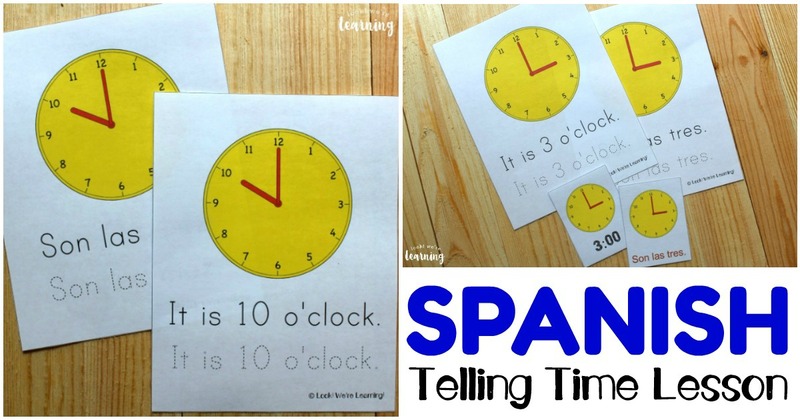 To get your copy of our Spanish Telling Time Worksheets, click the image or the link below to visit our Store! 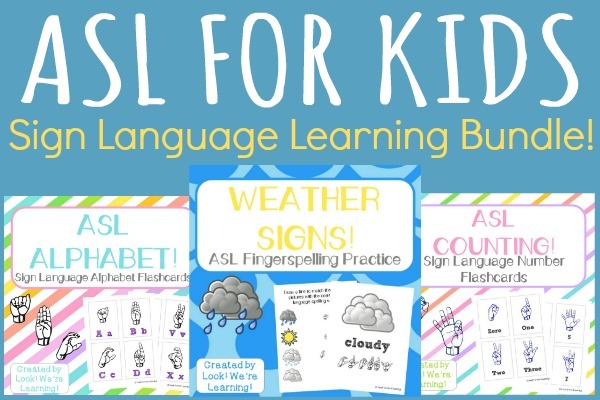 These worksheets look great! We are using Rosetta Stone Spanish and our son is LOVING it, but he hasn’t gotten to the telling time part yet. Pinning for when he does!